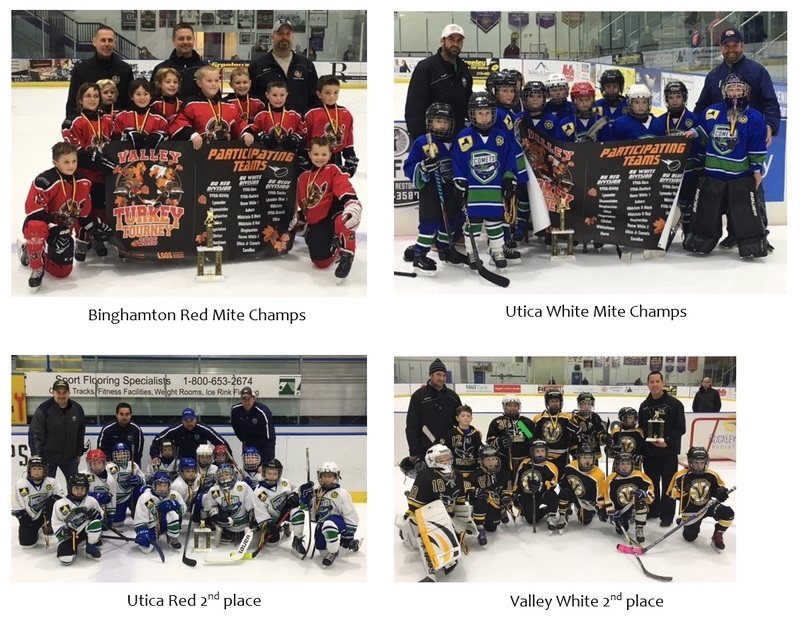 Congratulations to all of our mite participants! for sponsoring Turkey Tourney 2016! and all of the families who volunteered and who made this year's tournament happen! *Note from Valley President John Sacks -- Board members Mike Shaffer, Jillian Scheer, and Bill Sanzone were big contributers. Steve Eccles and team, and the Tsha team were awesome.